YIT chose Congrid as a partner to manage the quality and safety work at its construction sites. Finland's largest construction company YIT has chosen the Congrid-application as its field tool partner after an extensive international procurement. As of April, Congrid will be used at all YIT construction sites in Finland. 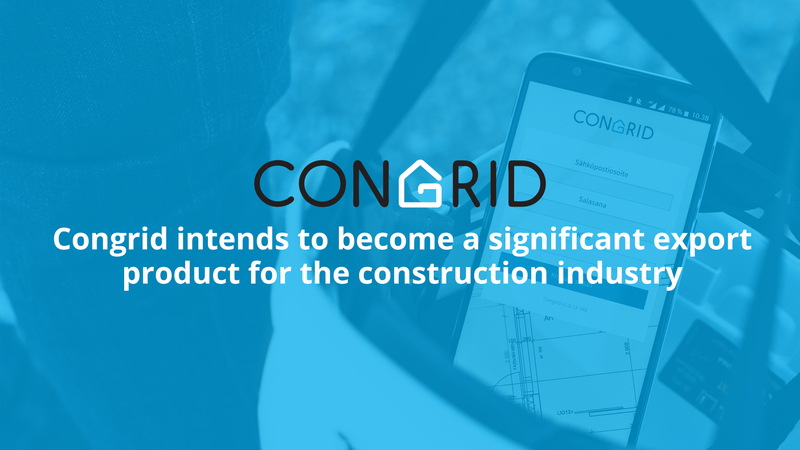 Congrid has developed a digital platform for managing and controlling the quality and safety work at construction sites. Before using Congrid, pen, paper and Excel files were usually used in construction, but now mainly mobile, tablet or computers are used. The cooperation with YIT means a lot to Congrid who has grown into the market leader in Finland. "This collaboration brings visibility, new potential and stabilizes our position in the Finnish market," says Timo Makkonen, CEO of Congrid. According to YIT, the use of Congrid supports the company's basic principle "safety first, quality always". “Digitization is one of the megatrends that affect our strategy. Digitization in itself has no value, it must actively support our employees in their tasks and, for example, improve information gathering. Congrid does this", comments Sakari Aaltonen, Head of Capability Development, Construction and Production, at YIT. The collaboration also looks promising with an eye on international opportunities, YIT is active in 11 countries. “We will continue to develop Congrid into a world-class solution. Through the collaboration, we get significant information and knowledge that benefits all of our customers", says Makkonen.